It is possibly only football fans who aren’t sorry to see the end of summer. That undeniable nip in the air, the nights closing in much quicker and the light covering of dew on the lawn is a sure sign that September is here. The kids mumble and moan as they shuffle off back to school and people who don’t like football get on with whatever weird stuff it is they do. But for football fans September signals the pursuit into Autumn and Winter months and proper football weather, and it also sees the football season begin to take shape after a frantic start. For Leeds United, too often September has signalled the slow realisation that nothing special is going to happen for another year, but that couldn’t be further from the truth this time around. The summer was yet another time of change, but there was an air of mystery and intrigue about what was happening at Elland Road, and the start of the season has put Leeds United front and centre of the football world as, not only the early leaders in the Championship, but the focus of one of the most explosive transformations media critics and fans alike have seen. Marcelo Bielsa’s revolution has seen mediocre bottle-jobs emerge as marauding world-beaters, as largely the same team that failed miserably last season has acted out Bielsa’s blueprint to the letter. So far Leeds have faced four of the expected front runners in the Division and remain unbeaten after six games, in the meantime playing a standard of football no Leeds fan has witnessed since the Champions League era. 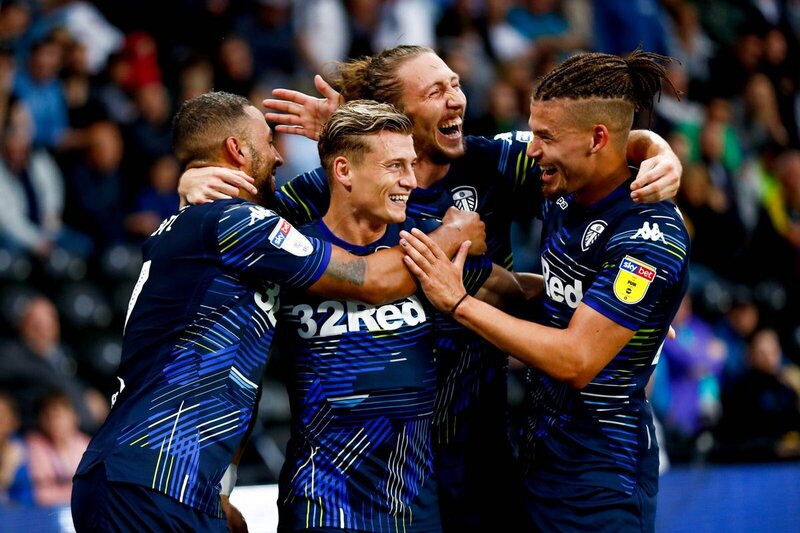 Sharp passing, fluid movement, hard pressing, organisation and teamwork; it has been a breath-taking start to the season that sees Leeds top of the table as we enter into the first international break, and the team on everybody’s lips as Bielsa has brought exactly the level of spirit and imagination that everyone predicted. At the Old Peacock, August passed by in a whirlwind and we were similarly blown away by the sheer pace and excitement of the first few weeks of the season. The summer heat quickly faded away, but nevertheless we saw three crowds over 30,000 and two midweek cup games also serving up a generous attendance. Before you knew it, summer had gone but it was impossible not to get swept away by the wave of optimism and now, for once, we don’t mind walking the dog in the dark and arguing about when to put the heating on, because when football is played like this, nothing else seems to matter and the real nitty gritty of the football season can’t come soon enough. The question of course is; can Leeds maintain the pace this time around? A similarly encouraging start faded away in limp fashion this time last year, but Leeds look better conditioned physically and are definitely better prepared mentally this time around, while they are under the tutelage of one of the world’s most renowned coaches and these players might also just be a little wiser and more savvy for last season’s experiences. Bielsa’s maverick approach has been refreshing and rewarding and it seems there’s plenty still to come with some of the new signings, big players like Pontus Jansson and players carrying injuries barely making an impression as yet. September sees international games make a swift but brief comeback and it is testament to Leeds’s start to the season that we have all quickly forgotten about England’s heroics in Russia over the summer. The next month sees just the two home games at Elland Road with Preston North End visiting in midweek on the 18th and Birmingham City arriving just four days later for our only Saturday fixture in September. It allows us a little breather at the pub, but as Leeds fans, if we can enter the next international break in another six games’ time, still top of the table, it will definitely shut some of the doubters up. We have received some great feedback from customers over our new matchday food menu, which of course has been delivered via our restaurant partnership with the Spiced Mango. Mo and his team are experts in serving up delicious Asian cuisine, and the first two months of their residency at the Peacock has been a resounding success, but the matchday operation is all completely new. While we have experienced some teething problems, the new menu has been received really well on the whole, but we are always happy to hear about anything you feel we can improve. It’s a delicate balance between providing something new but catering also for what people like and expect, and hopefully we are somewhere close to that. The same can be said for our new container bars in the beer garden. We hope they have improved the experience for everybody, relieved the stress of getting served inside and allowed those in the beer garden to get served quicker. But if there’s anything we can improve upon, just let us know. Certainly the atmosphere at the pub for the home games so far has been pretty special, even by our normal standards. However Leeds are performing, the fans always love the buzz of the matchday experience and we are proud to play a huge part in that. But you can imagine how thirsty people have been over the last few weeks and it seems Leeds fans just can’t savour the Peacock atmosphere enough at the moment. It’s great to see Leeds fans visit Elland Road at any time of course, and we have definitely seen an increase in people popping in during the week after visiting the new Superstore, or the brilliant Bremner Square redevelopment, or simply to buy tickets. The Peacock has always been an aspect of how visiting Leeds fans can pay homage in between matchdays, and it is great to feel that expectation and the draw of the place in better times. People just want to be at Elland Road right now, whatever day it is. As ever, we hope to be of service in that respect. And certainly as the calendar months tick past we can only pray that the lads can keep this up and continue to rampage through the Division, because we will happily wave goodbye to the sunshine and say hello to the good times, when Leeds United give you a naturally warm, fuzzy feeling like this.